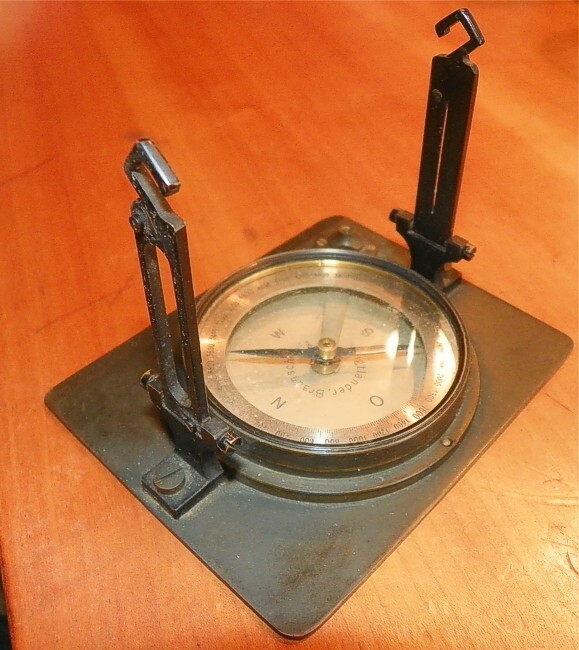 This compass has a copper mounting plate and can be placed on a map. Looking through both legs provides an accurate reading. It is also possible the hang it on a wire, for instance in an air balloon. 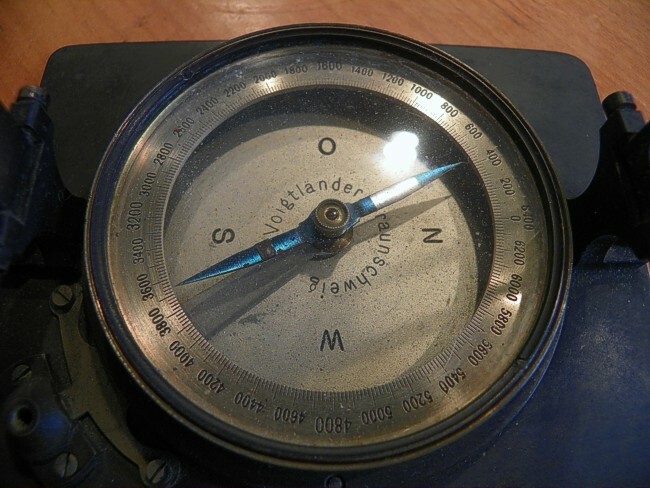 This type is also known as the artillery compass. Made by Voigtländer, Braunschweig. The scale is devided in thousandths (Strich). It is an older model, but still fully functional.